Letterpress encouragement cards show you care and convey good wishes to the recipient. Laser-cut letterpress encouragement cards are a great way to show you care. 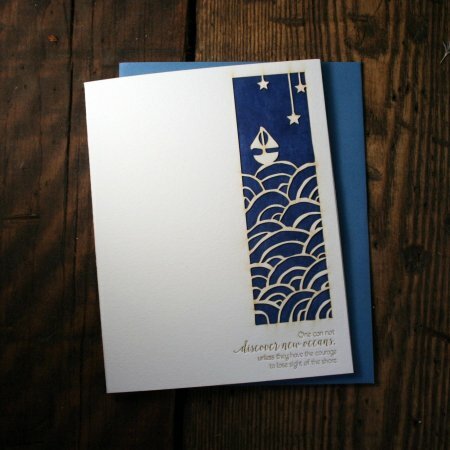 Twin Ravens Press produces custom letterpress paper goods for weddings, business and greetings. Browse our other categories to see more samples of our products. Own a store? Contact Twin Ravens Press to become a stockist and start offering these letterpress encouragement cards in your store today.